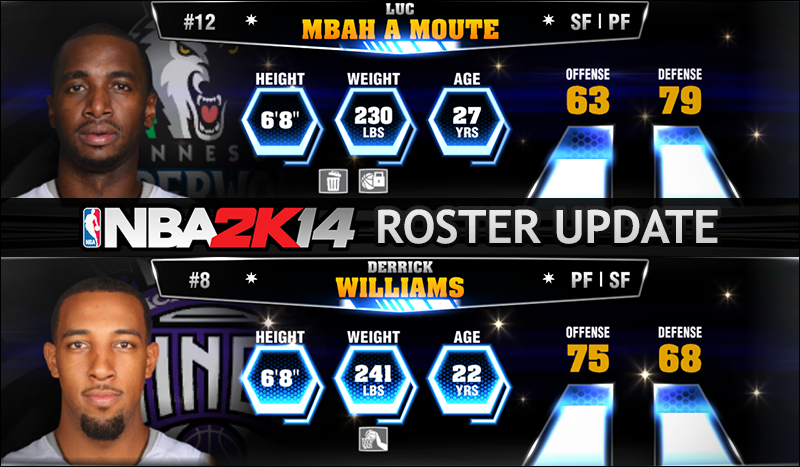 A new roster update for NBA 2K14 went live on current-gen which accounts the recent transaction from Tuesday involving the trades of Derrick Williams to Sacramento and Luc Mbah a Moute to Minnesota. 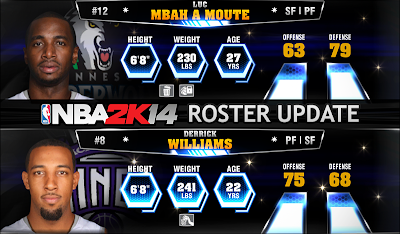 In addition to the Timberwolves-Kings swap, the starting lineups and rotations have been updated, accurate as of November 27, 2013. No missing players were added in today's update. This roster is now available on both the Xbox 360 and PlayStation 3 platforms. For PC users who can't download it in-game, you can install the offline patch here - 11/27/13 Links - Mega | Mediafire | Box | 4shared.